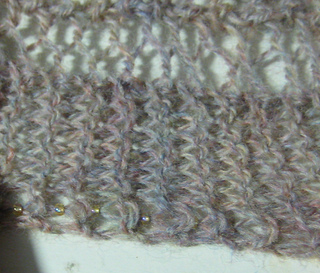 I’ve added beads in vertical rows on each side of the main scarf body, on every RS knit row one stitch in from the edge. 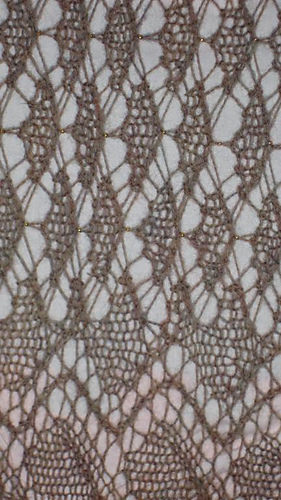 I’m using Mill Hill 2.5mm beads in “crystal honey” color, (economy pack 22019). 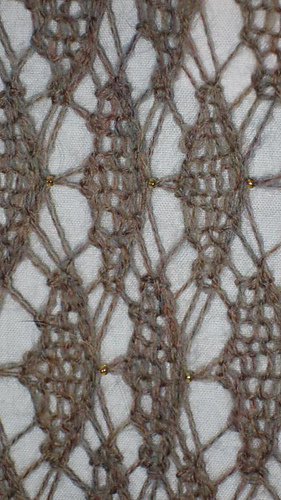 I didn’t prestring the beads--I’m adding it to the stitch after it’s knitted via a size 14/0.75mm crochet hook. 12/4/08 I finished knitting it. 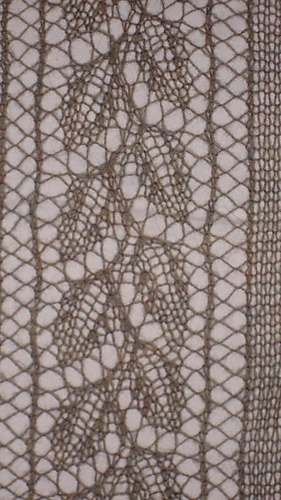 I ended up wanting to add beads to the borders, as well, so I ripped out the first border and reknitted it with beads, one on each SK2P stitch of the flower pattern (not the trellis part). 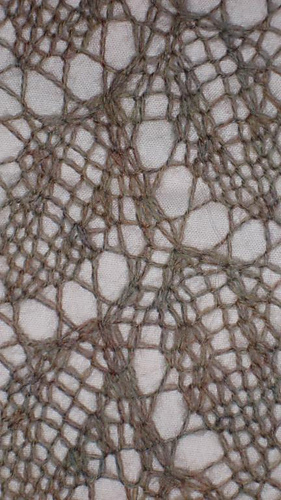 I knitted the second border with beads, also. I still have to block it, but the beads are so pretty and really pick up the light. The blue-green-rose colors in the heather really come out. 12/7/08 Finished blocking. I used fishing line for the first time, and it wasn’t bad. 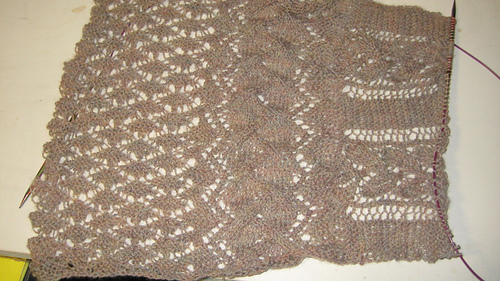 It was a little less cumbersome than the blocking wires along the sides, because I’ve always had to use 2-3 overlapping wires to block a long side of a scarf. I’m especially proud at how nice the beads look.